The purpose of this study was to compare the clinical and radiological outcomes of minimally invasive versus open transforaminal lumbar interbody fusion in two-level degenerative lumbar disease. We conducted a prospective cohort study of 82 patients, who underwent two-level minimally invasive or open transforaminal lumbar interbody fusion (TLIF) from March 2010 to December 2011. Forty-four patients underwent minimally invasive transforaminal lumbar interbody fusion (MITLIF) (group A) and 38 patients underwent the traditional open TLIF (group B). Demographic data and clinical characteristics were comparable between the two groups before surgery (p > 0.05). Peri-operative data, clinical and radiological outcomes between the two groups were compared. The mean follow-up period was 20.6 ± 4.5 months for group A and 20.0 ± 3.3 months for group B (p > 0.05). No significant difference existed in operating time between the two group (p > 0.05). X-ray exposure time was significantly longer for MITLIF compared to open cases. Intra-operative blood loss and duration of postoperatively hospital stay of group A were significantly superior to those of group B (p < 0.05). 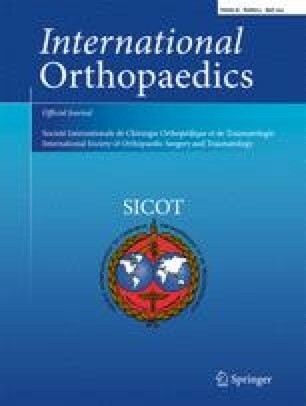 On postoperative day three, MITLIF patients had significantly less pain compared to patients with the open procedure. No statistical difference existed in pre-operative and latest VAS value of back pain (VAS-BP) and leg pain (VAS-LP), pre-operative and latest ODI between the two groups. The fusion rate of the two groups was similar (p < 0.05). Complications included small dural tear, superficial wound infection and overlong screws. When comparing the total complications, no significant difference existed between the groups (p > 0.05). MITLIF offers several potential advantages including postoperative back pain and leg pain, intra-operative blood loss, transfusion and duration of hospital stay postoperatively in treating two-level lumbar degenerative disease. However, it required much more radiation exposure. Guangfei Gu and Hailong Zhang contributed equally to this work. We thank Xia Zhang, a nurse in our hospital, for her excellent daily work in our surgery. The authors declare that they have no competing interests. No funds were received in support of this work. No benefits in any form have been or will be received from a commercial party related directly or indirectly to the subject of this manuscript.